The Treasury has released its analysis on the economic impact of Theresa May’s Brexit plan and the consequences of a no deal. It, as expected, makes grim reading for advocates of a hard Brexit. The Treasury analysis will show the UK’s GDP will be 7.6% lower over the next 15 years if we crash out without a deal – a loss of £150billion. It is, in fact, worse than that. If Carney’s analysis of the situation came true, it would be the worst recession since the Great Recession. The Treasury has also previously made forecasts of similar shocks to the economy in the same scenario. The official economic forecasts concluded that the UK would be better off remaining in the European Union. Under Mrs May’s plan, there will be 1% to 2% hit to GDP (£40billion), the equivalent to a standard recession. The Norway option would see growth down 1.4%. However, the Canada scenario favoured by Boris Johnson would see GDP down 4.9% representing a severe recession and about 75 per cent of the downturn experienced just after the global financial meltdown of 2008 that led to a decade of austerity. Small numbers like 4.9% do not sound that much but when it comes to economic activity in GDP terms, it’s a shocker. We absolutely do not want a recession in these terms. In other words, there are no winners here, none. It seems odd on reflection that none of these figures have appeared on the side of any bus trundling down your high street of rapidly closing household named stores, whose doorways are now filled with the homeless and seriously miffed scruffy looking terriers. The expected deluge of accusations by the usual merry band of Brexiteers of Project Fear Mark 2 can be heard loud and clear already. 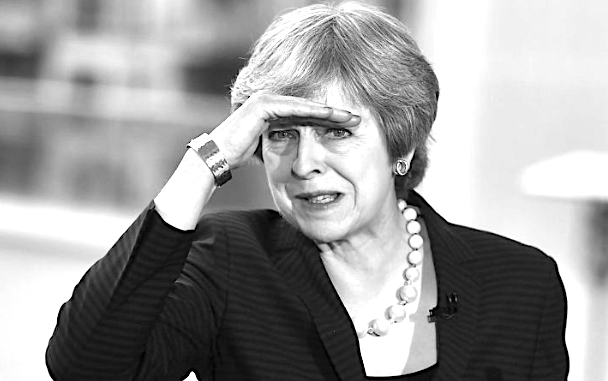 Of course, Downing Street will not be that disappointed if the no deal forecasts are particularly alarming. This will assist Mrs May to peddle her line that it is a choice between her deal and the impending forecasted apocalypse that the Brexiteers seem to want for Britain. However, what will be just a little difficult for Britain’s current PM is defending the economic cost of her withdrawal agreement. Let’s be real here, Mrs May presents to the country a dichotomy on the one hand and a trade-off on the other. If we’re leaving the EU, the price of ending freedom of movement and regaining some sovereignty is a less prosperous country. This is what Mrs May has been calling “Britain’s brighter future.” This Brexit plan we are told is the least worst and least damaging, but nevertheless, Mrs May is in the position of being the first Prime Minister to present the country with a deal that makes the entire country and all its citizens much worse off. How then, does Mrs Mat propose to create more money for the NHS. We do not have a magic money tree, do we? Or so she publicly said to an NHS nurse who hadn’t had a pay rise to keep up with the cost of living for years. And that was just last summer. Philip Hammond accepts that “in purely economic terms there is a loss” from all Brexit scenarios on the table. This is because there are no economic terms that enrich Britain except one, but Britain just voted to leave it. If austerity as an economic ideology is to be believed and the Tories remain in power, then Britain is heading for very hard times. Indeed, if anything, this would give the Tories the excuse they need. There is a brutal truth, as Hammond knows that the expected declines in economic activity from Brexit means there will be a significant fall in Treasury revenue. This can only mean one thing, less money for public services. These services, already severely degraded by austerity are having real negative consequences for the cohesion of civil society. It should be noted that there are no trade deals with third countries which will compensate for our departure from the largest single trading bloc in the world. None. Not even Trump’s American trade deal will go half way in achieving that. Confirmation of this comes from the man relied on by Brexit supporters to underpin the economic arguments for leaving the EU. Shanker Singham has said the UK would be better off staying in the club rather than accepting the prime minister’s Brexit plan. His only offering is a hard-Brexit – the same one that all the government economic advisors are saying will totally trash the economy. Every nation has its own ‘Patron Saint’ who in times of great peril is called upon to help save the country. Mrs May is not that person. Hers is a lost cause because Brexit, as it turns out, has no winners. Her calling is to offer nothing more than damage limitation to a project that only gained traction through the disinformation and falsehoods of the politicians, think tanks and so-called charities who peddled them in the first place.